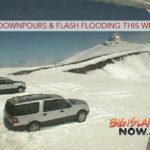 UPDATE 2: Nov. 27, 2017, 12:05 p.m.
Day three of the search for a missing swimmer in the Wailuku River near Rainbow Falls was suspended at just after 10 a.m. due to flash flood, heavy rain conditions. These conditions precluded dive operations, river bank operations and chopper flights. The search for the missing swimmer shall resume tomorrow morning, weather and river conditions permitting. UPDATE 1: Nov. 27, 2017, 7 a.m. 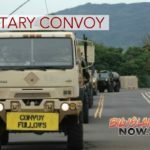 The Hawai‘i Fire Department stated on Sunday night, Nov. 26, that the search for the male swimmer near Rainbow Falls will continue this morning. 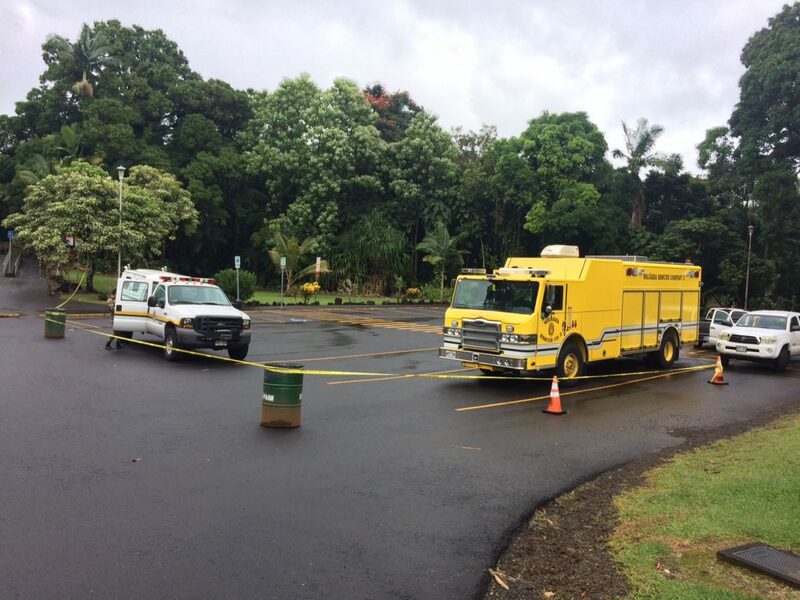 The man was was last seen swimming in the Wailuku River approximately 100 yards above Rainbow Falls. HFD rescue personnel continued the search for the missing swimmer on Sunday, but due to the higher-than-normal river levels and rain, the search continued along the river banks and by air with Chopper One. The search area included the point the swimmer was last seen, down to the river mouth in Hilo Bay. Four people went swimming above Rainbow Falls and two of them got swept away. One female victim was found at the base of Rainbow Falls and a search continues for the male victim. The Fire Chief Brent Matsuda, who was on hand on Sunday, Nov. 26, at Rainbow Falls, believes that they were tourists from the mainland. For video at the staging and search area on Saturday, click here.